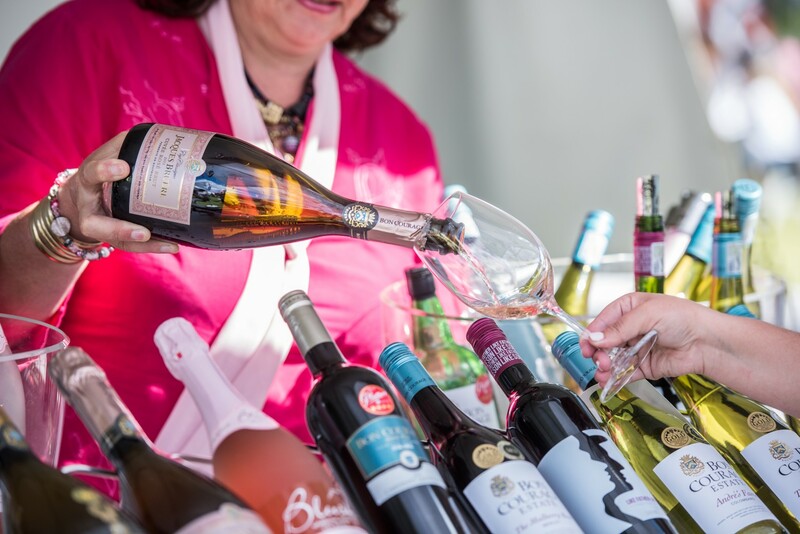 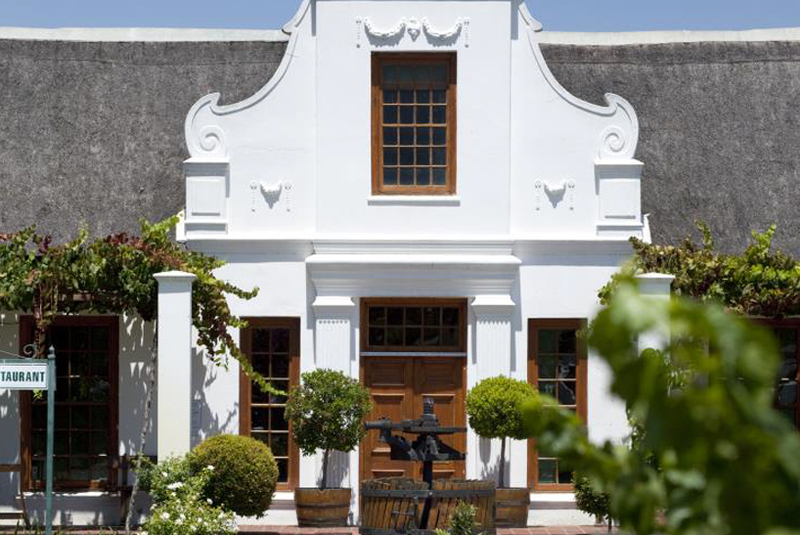 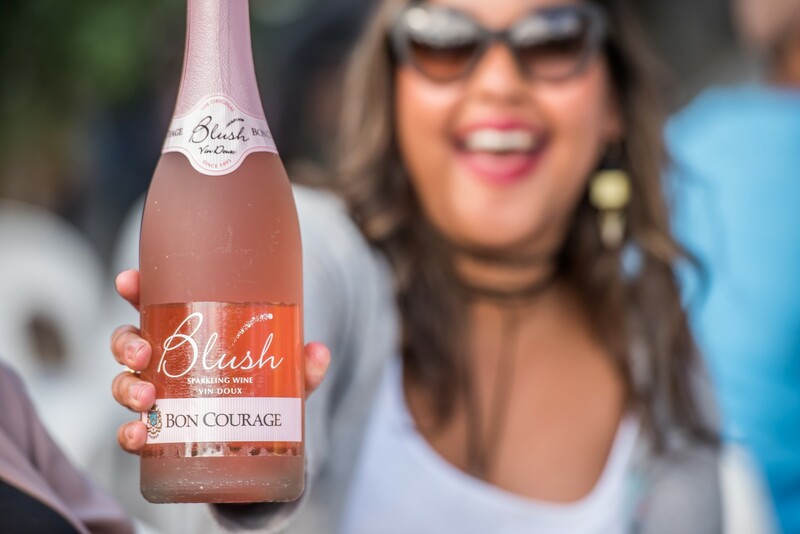 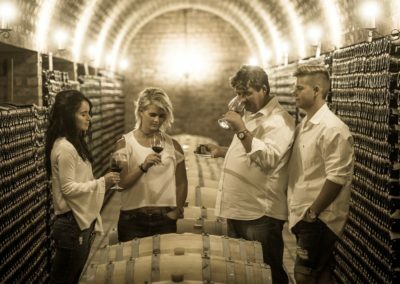 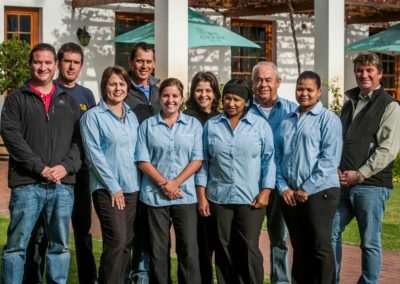 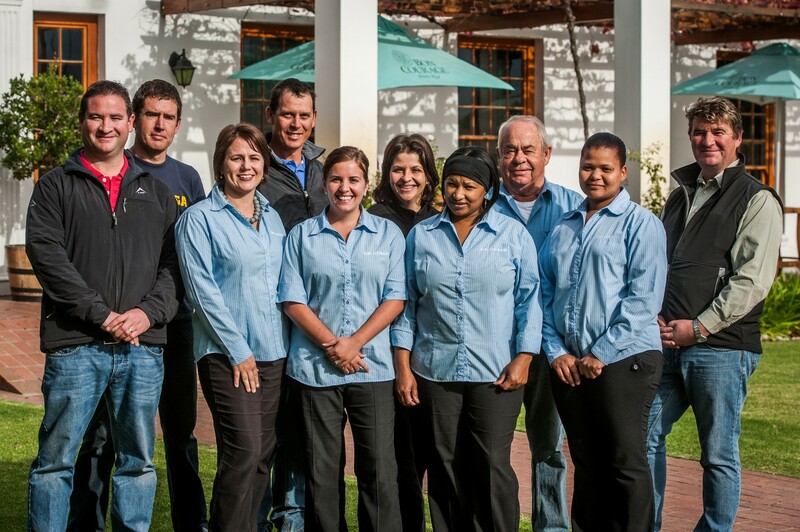 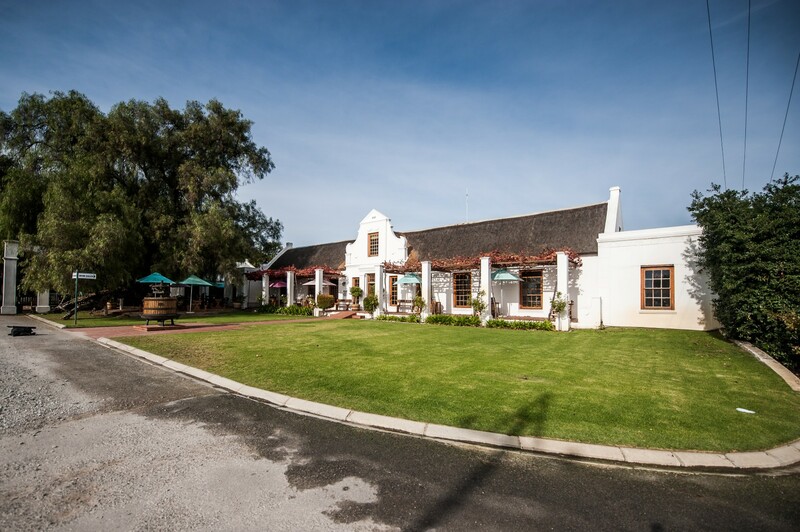 Located in the heart of the beautiful Robertson valley – a valley of wines and roses – lies Bon Courage Estate, home to some of South Africa’s finest wines and recognized both locally and internationally for their exceptional quality. 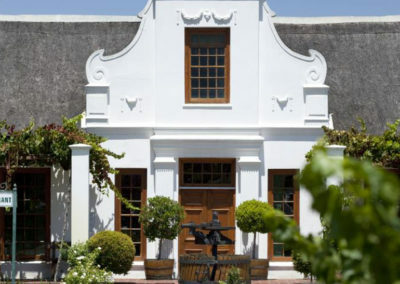 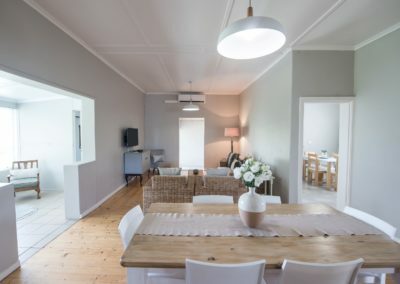 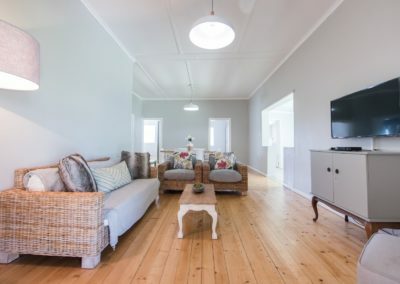 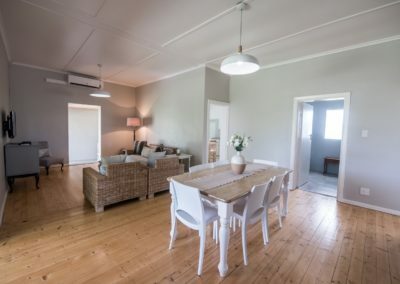 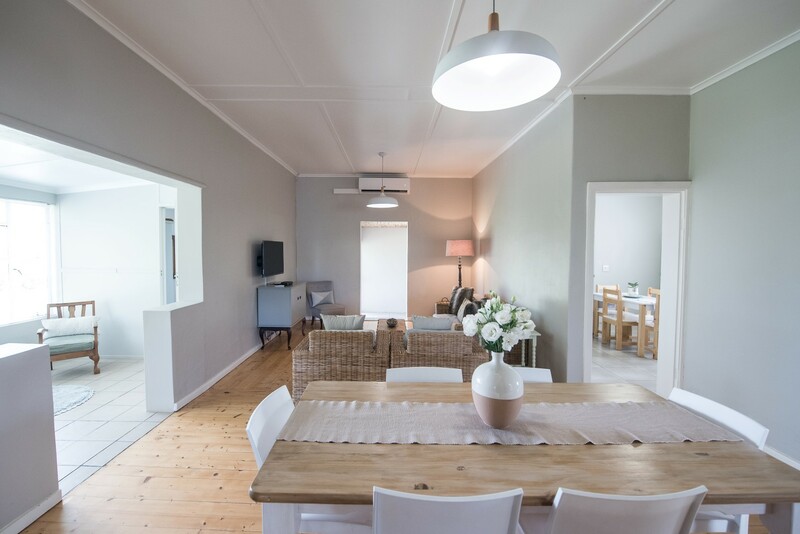 The stately Cape Dutch homestead dates back to 1818 and the estate has enjoyed the attention and dedication of three generations of the Bruwer family since 1927. 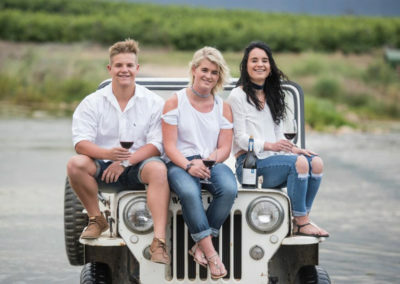 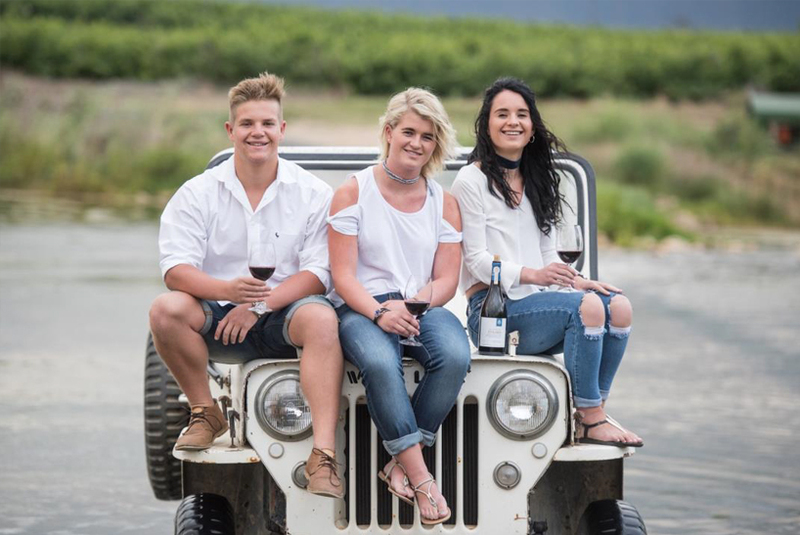 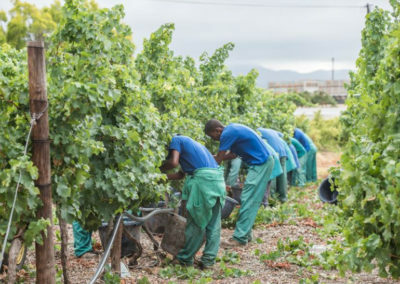 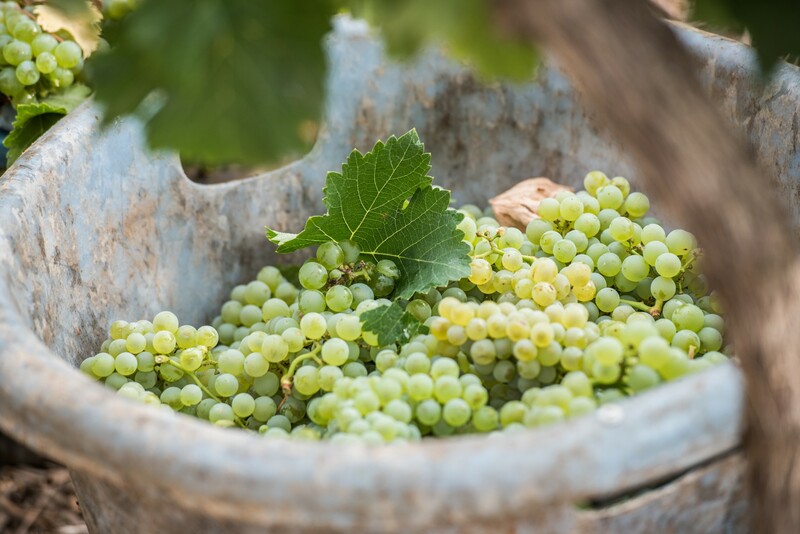 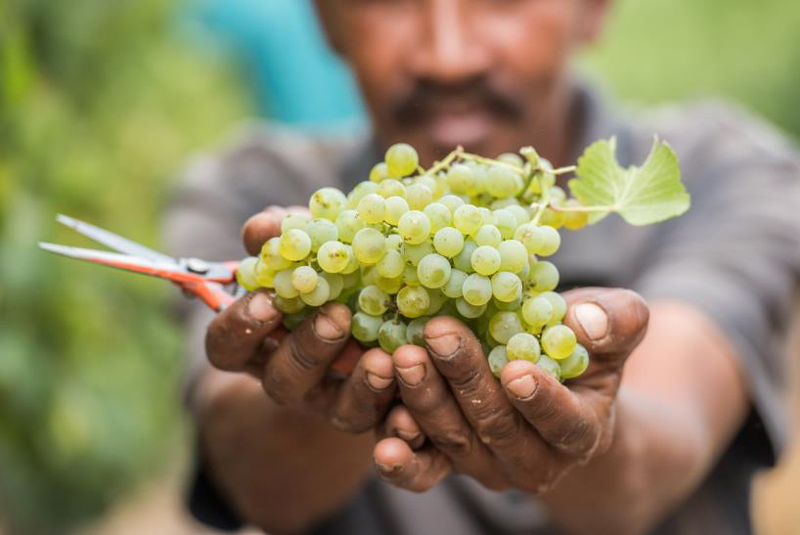 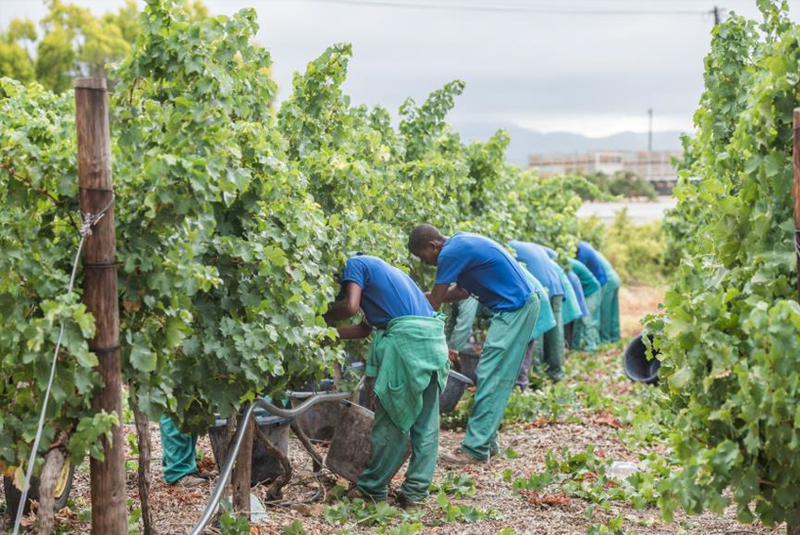 The Robertson wine region is today renowned for wines of great depth and concentration, a result of the ideal soil and climatic conditions that prevail in this region. 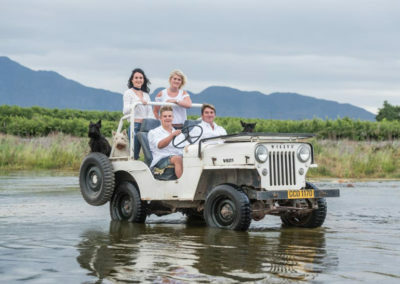 Three rivers runs through the estate and have, over the years, deposited a variety of different soil types on the farm. 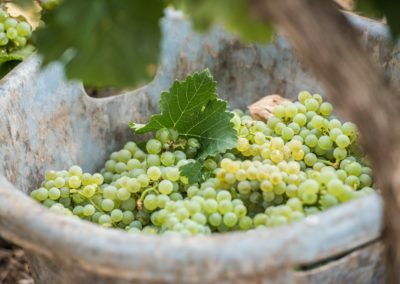 Due to this diversification of soil and microclimates, a wide range of grape varietals can thrive in the same area. 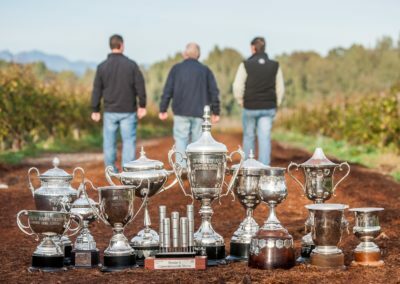 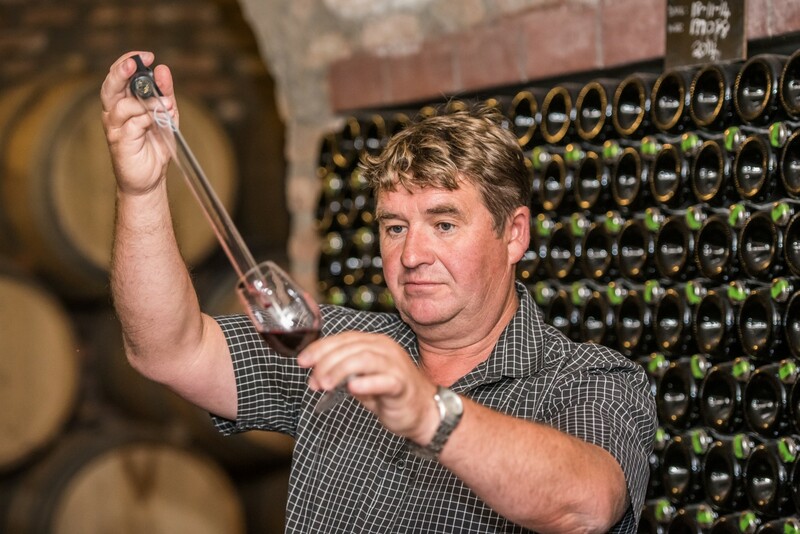 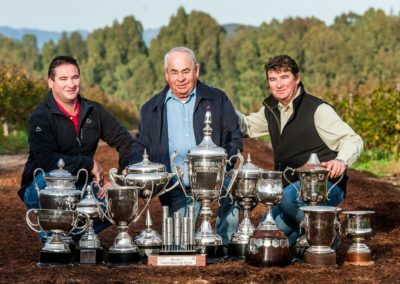 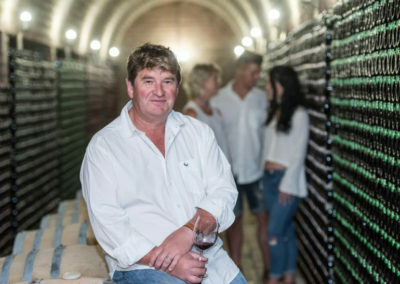 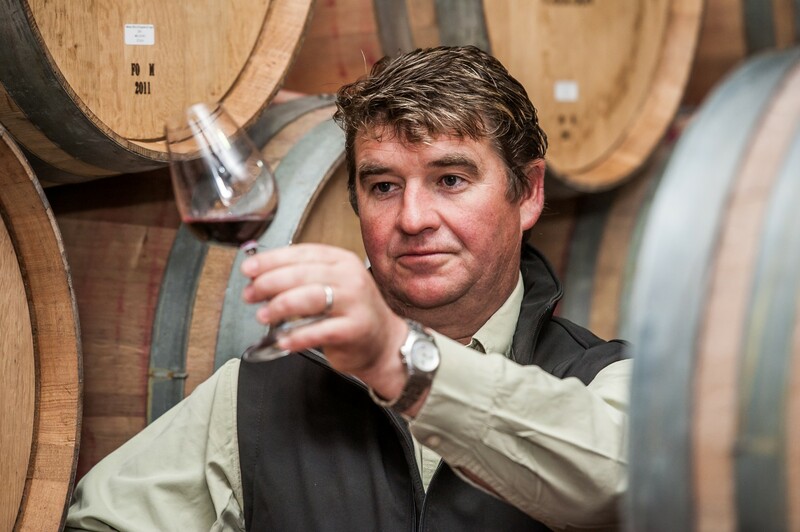 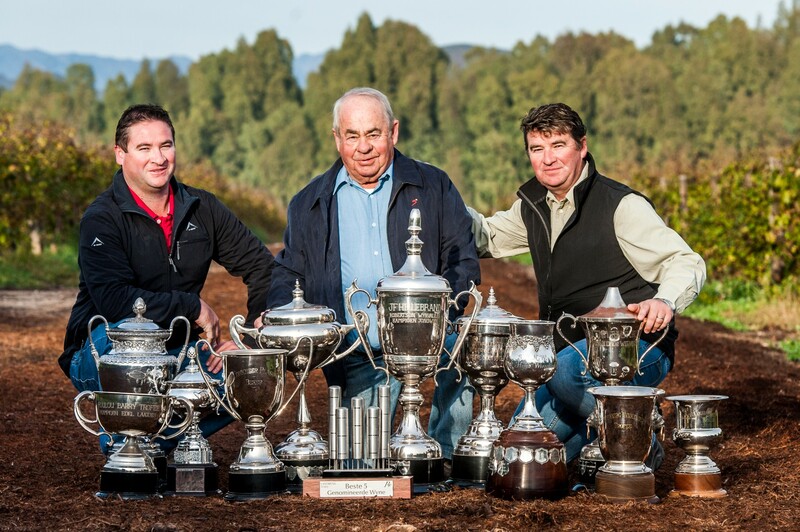 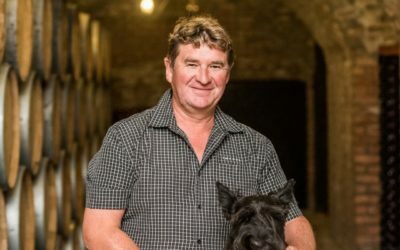 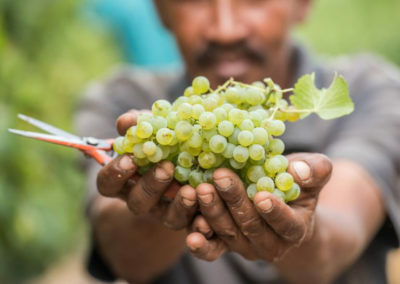 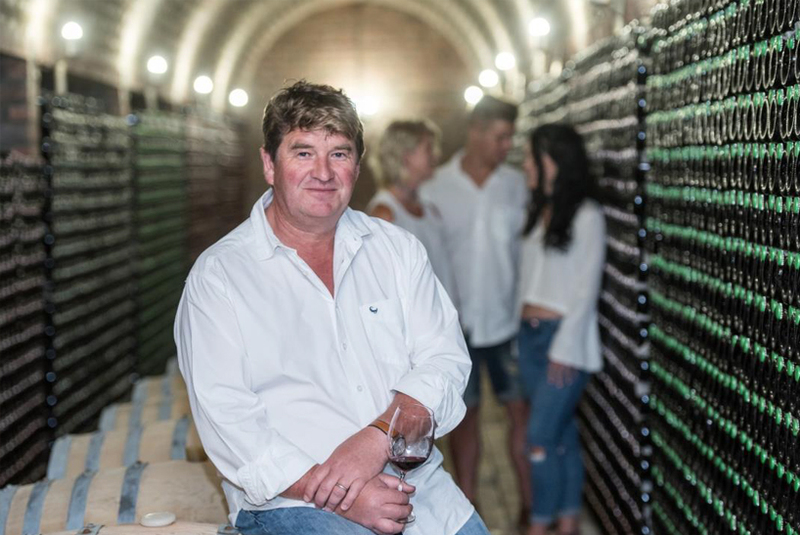 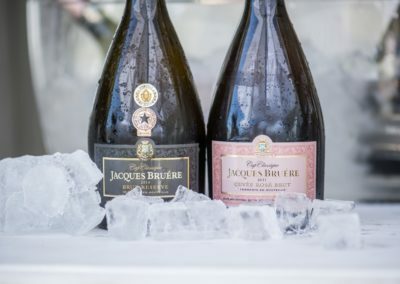 André Bruwer – the owner and viticulturist – has acknowledged the basic maxim (truth) that good wine is mainly created in the soil and has, therefore, put much effort into matching the correct cultivar to the ideal soil type. 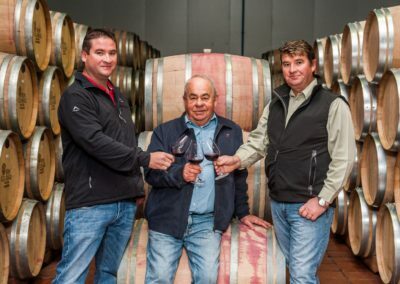 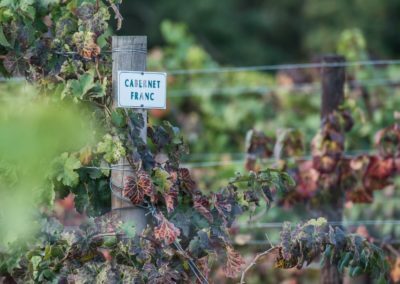 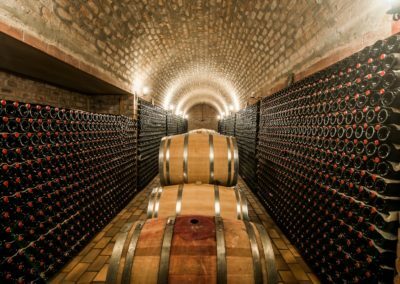 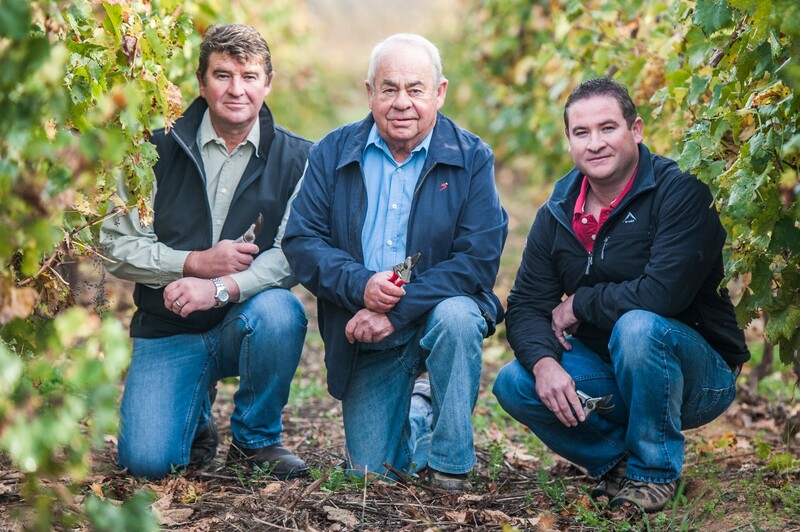 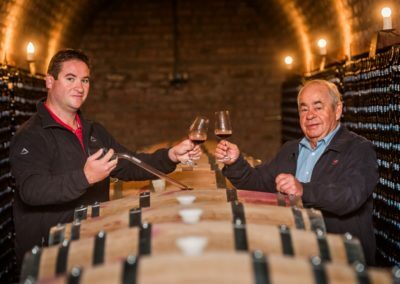 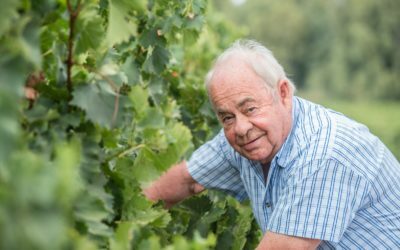 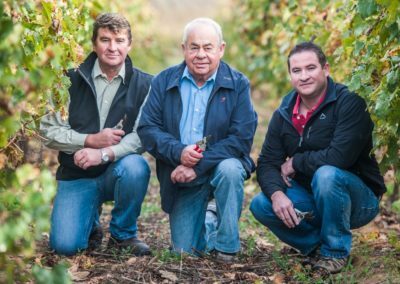 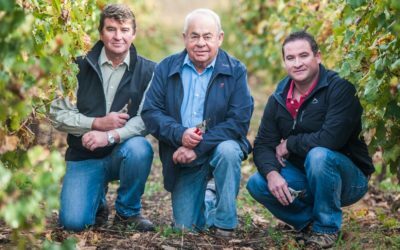 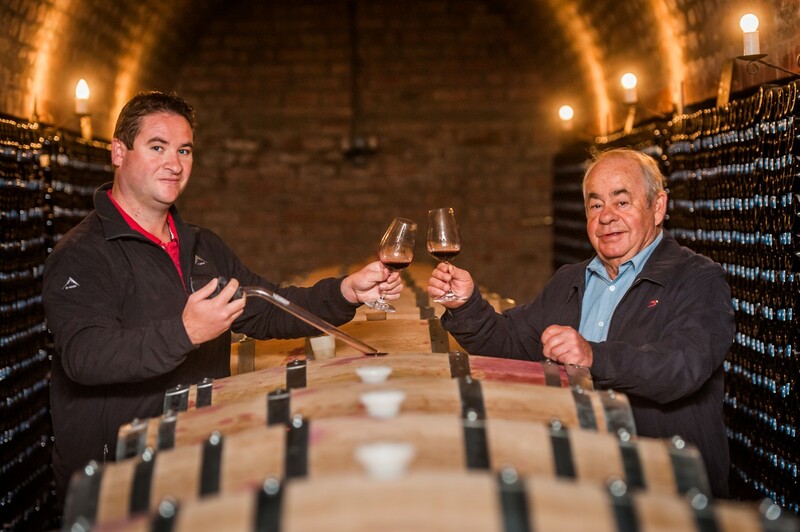 Although ”tradition” plays a big role at Bon Courage Estate, careful but extensive modernization has allowed André and his son Jacques to combine the best of traditional methods with those of the modern age. 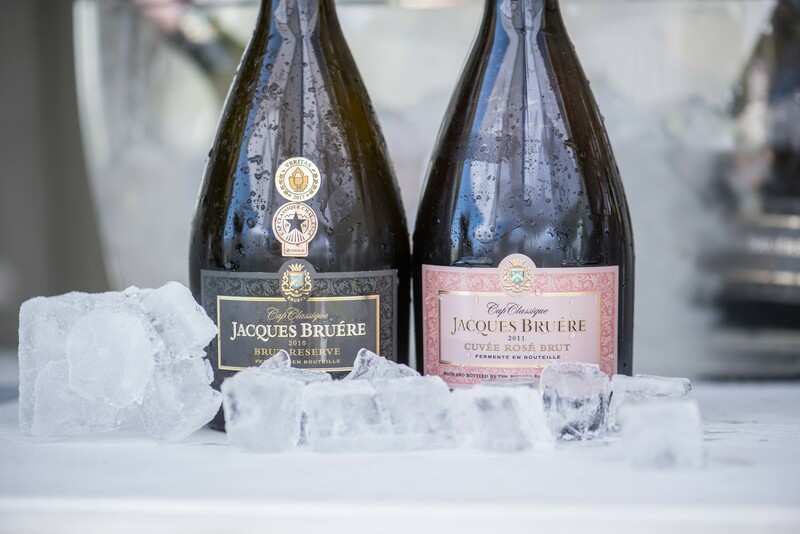 This combination allows them greater freedom and flexibility when creating the present and future Bon Courage wines. 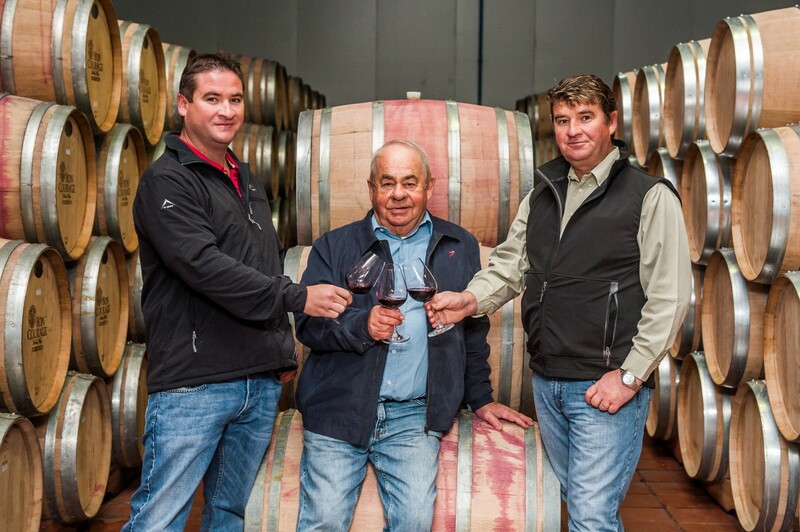 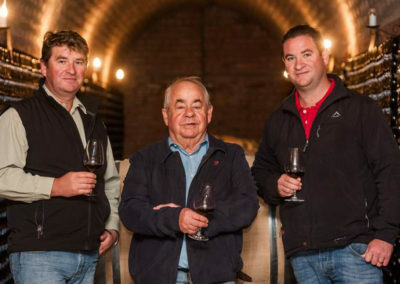 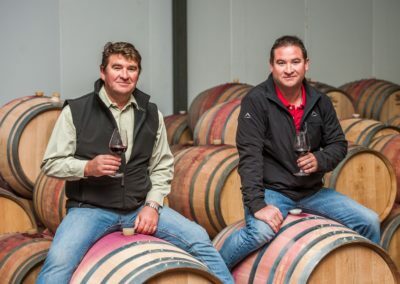 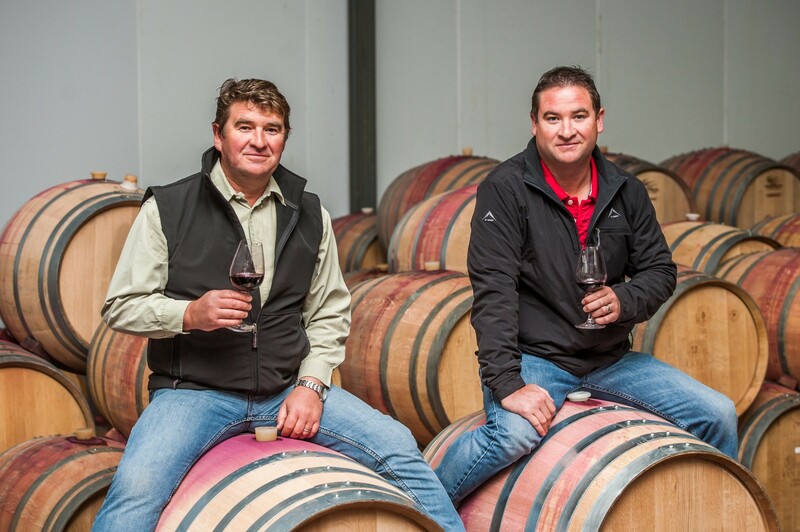 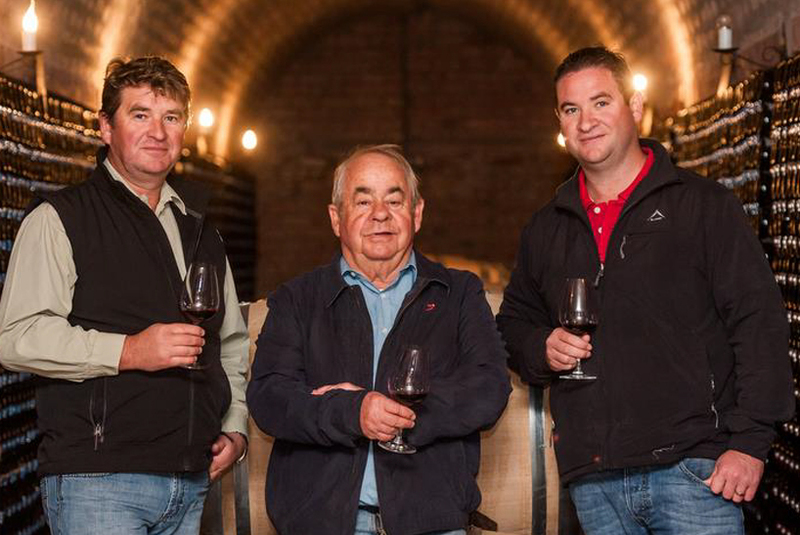 Today, André and Jacques combine their experience, skills, patience and personal dedication into producing a selection of the very finest wines. 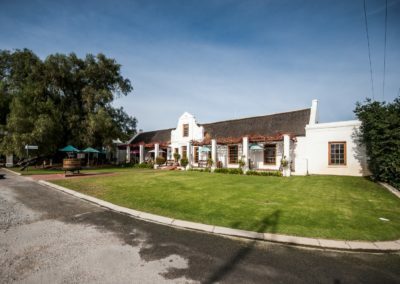 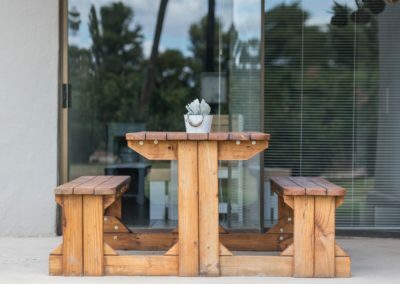 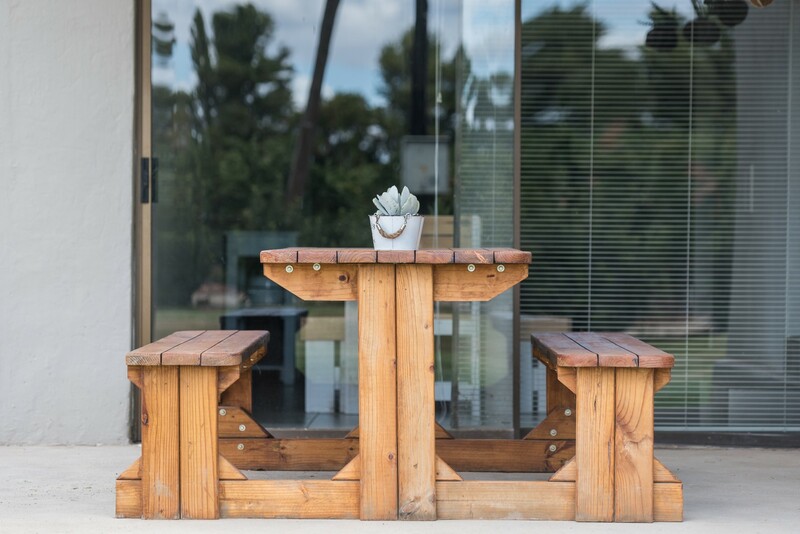 Visitors come to Bon Courage Estate, not only for the exquisite wines, but also to enjoy a delicious meal, a fresh salad, a creative sandwich or just a cup of coffee at Café Maude. 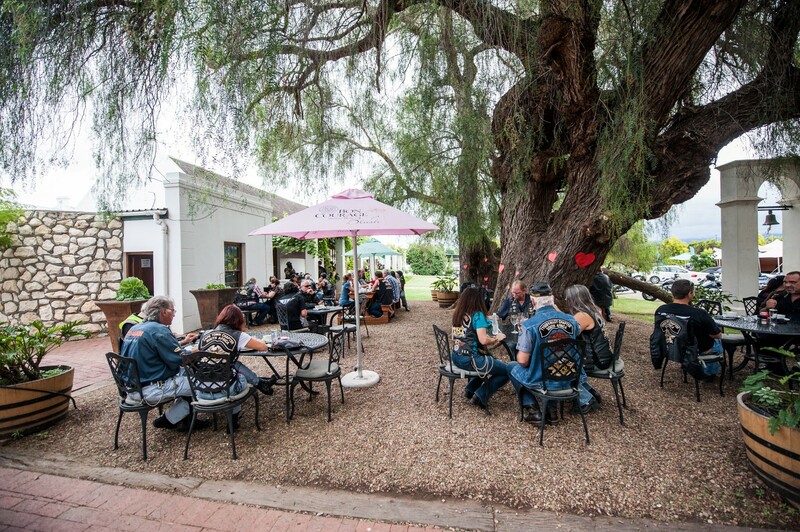 Here, under the shade of an old African pepper tree, locals and tourists alike, gather to relax and enjoy each others company. 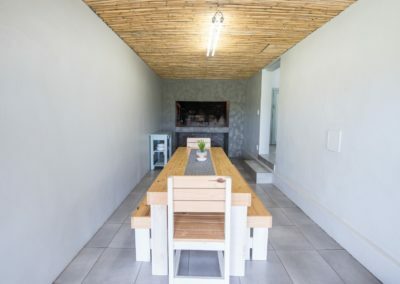 A new indoor restaurant with a big fireplace is also in place should there be a chill in the air on a winter morning. 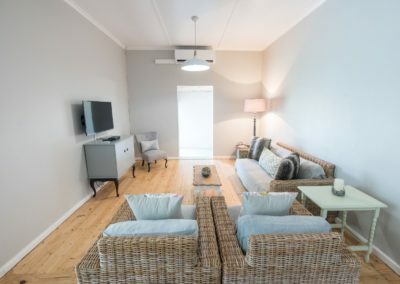 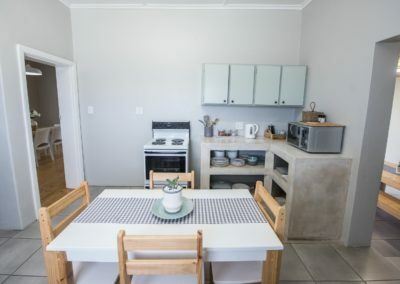 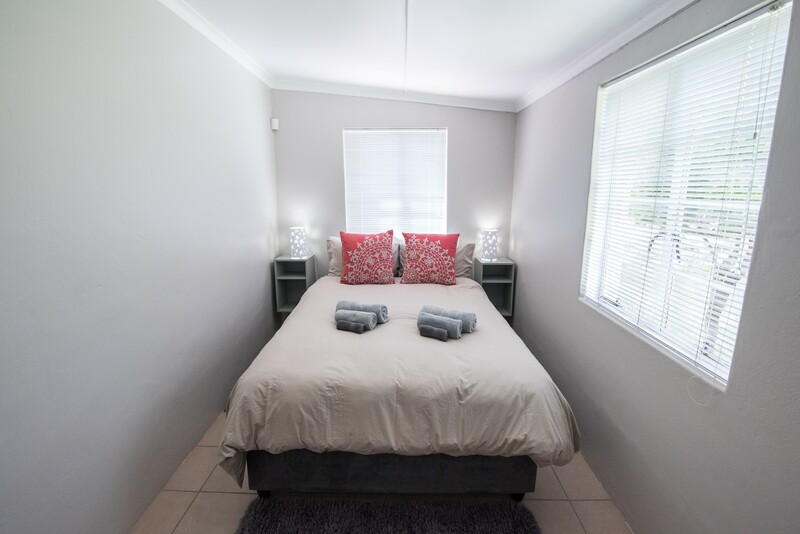 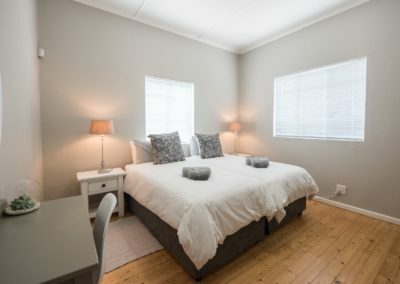 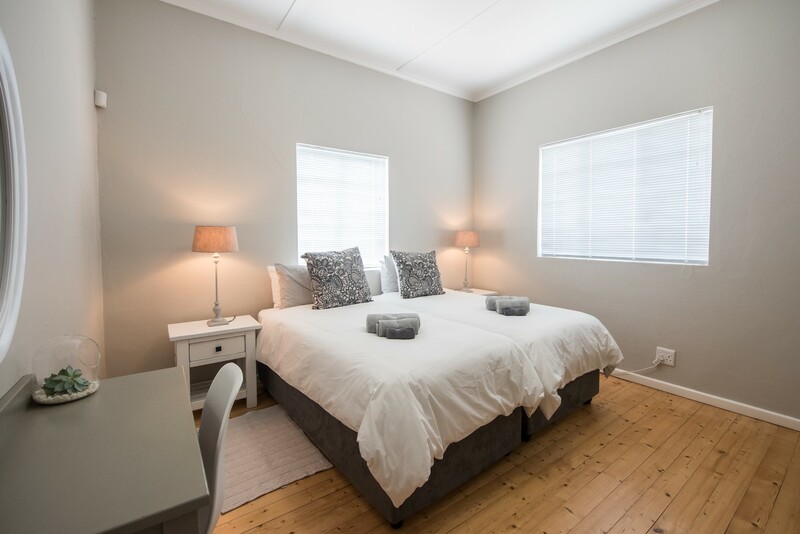 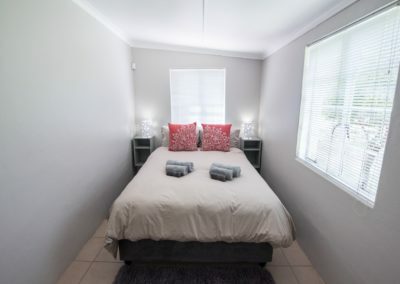 Our cottage provide the perfect getaway from our busy everyday lives being closer to nature and finding relaxation has never never been easier. 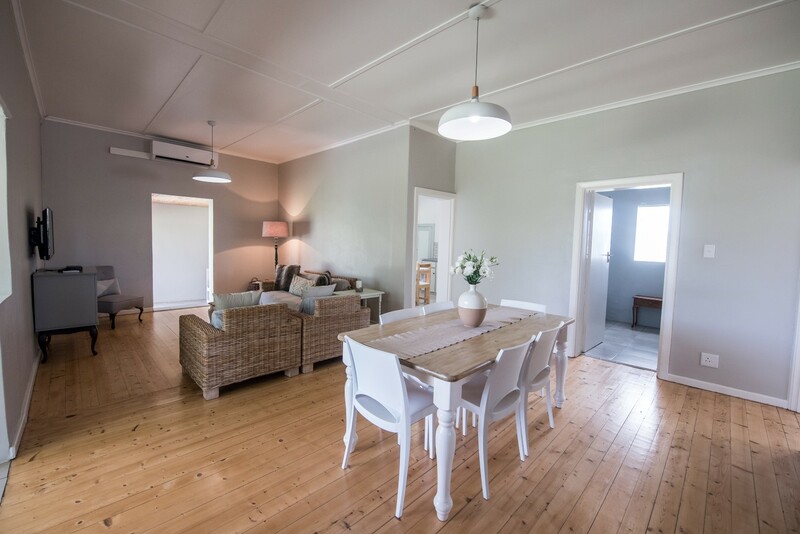 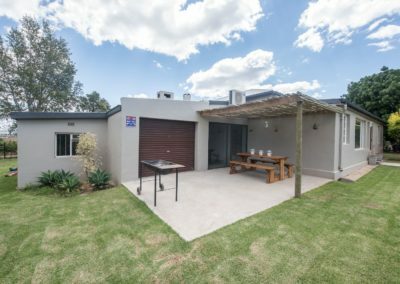 The cottages are part of a large working farm with wine cultivation’s located in the heart of the beautiful Robertson valley. 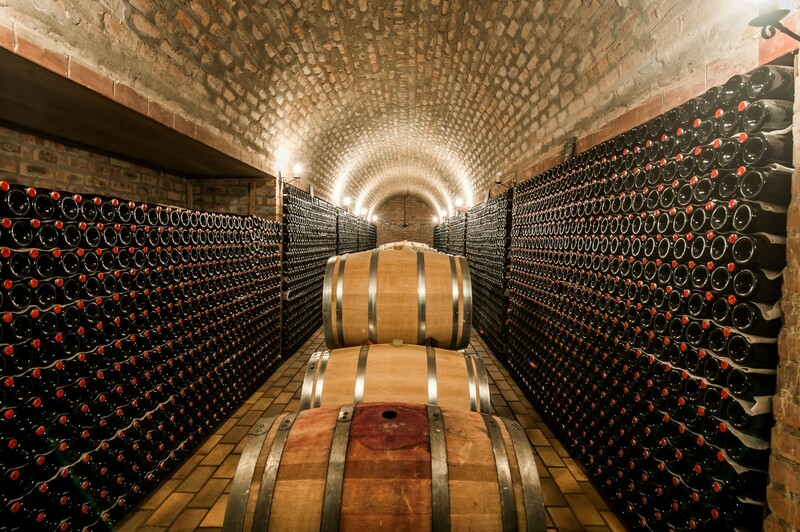 A valley of wines and roses. 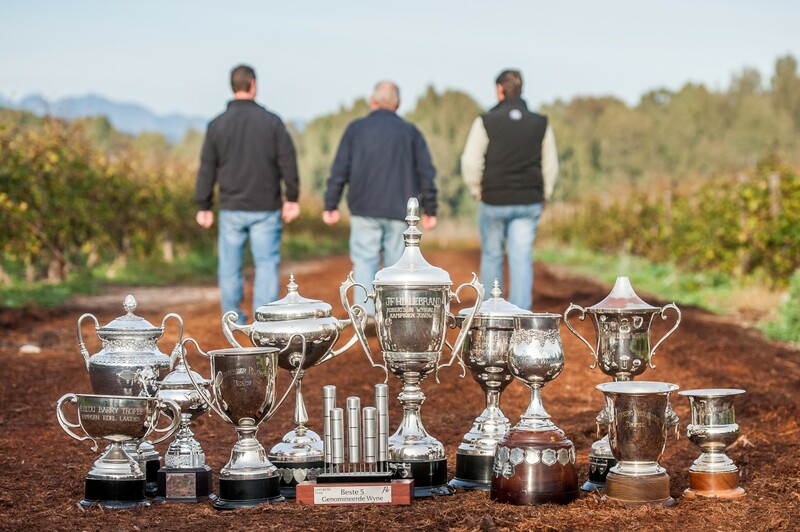 Home to some of South Africa’s finest wines and recognized both locally and internationally for their exceptional quality. 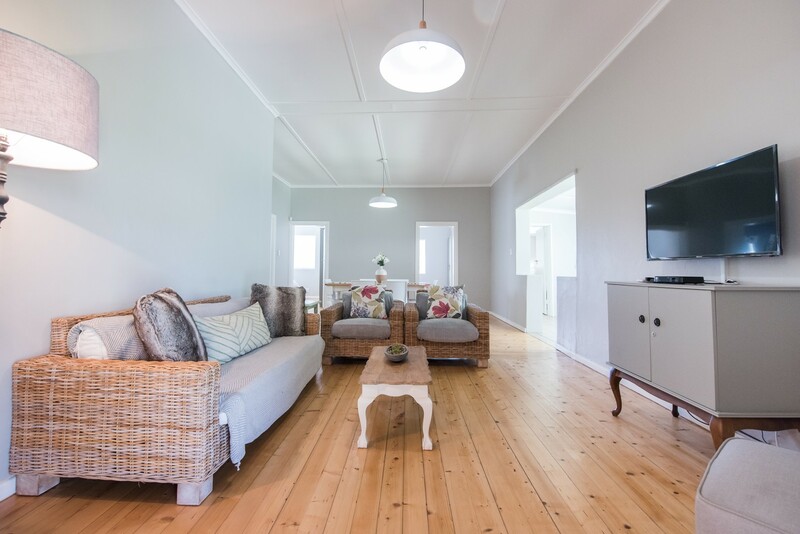 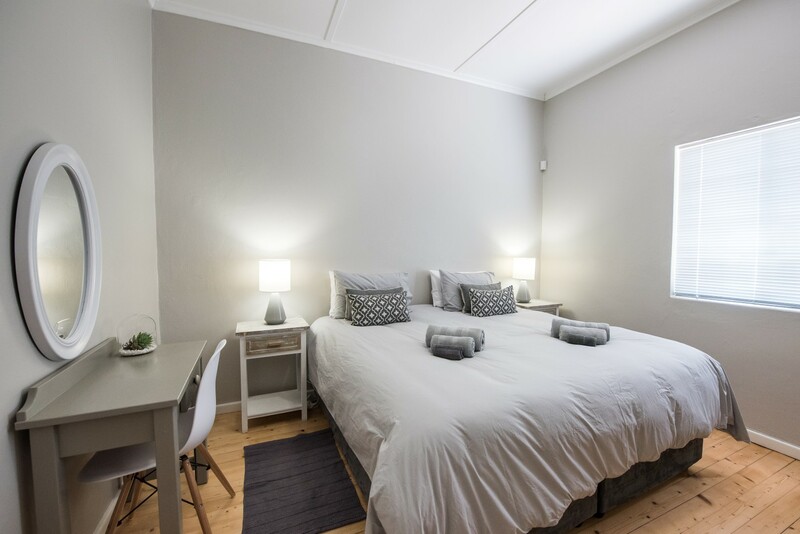 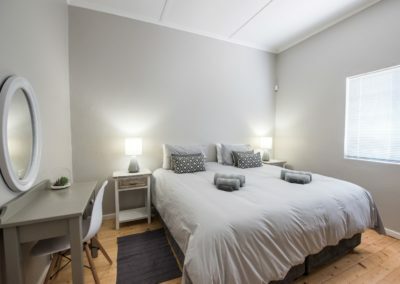 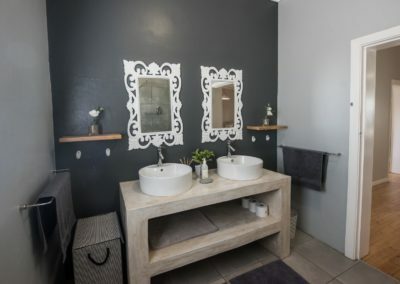 Vigne cottages are only +/- 1.5 hours drive away from Cape Town. 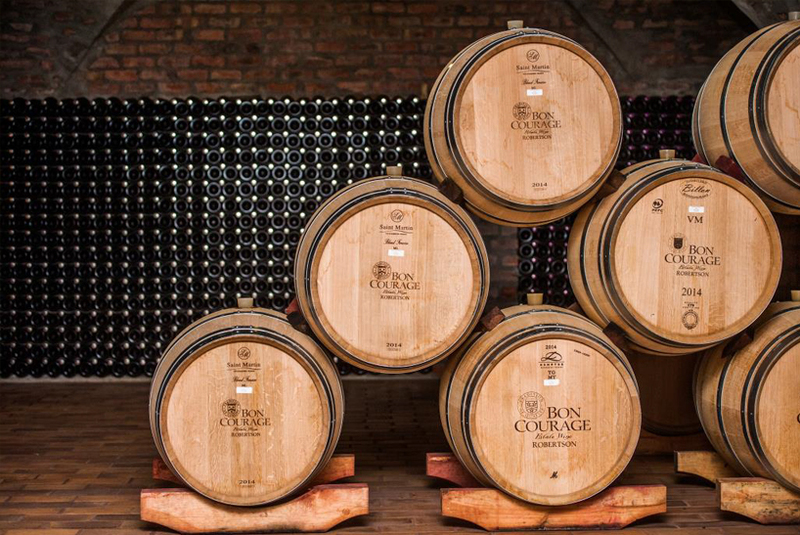 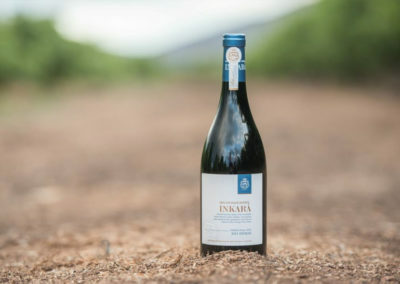 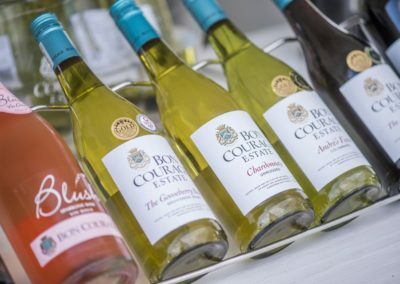 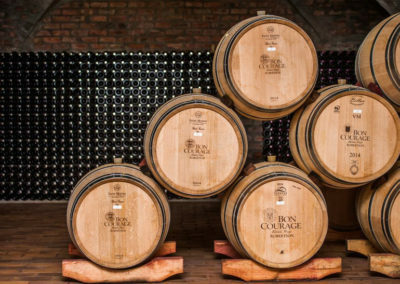 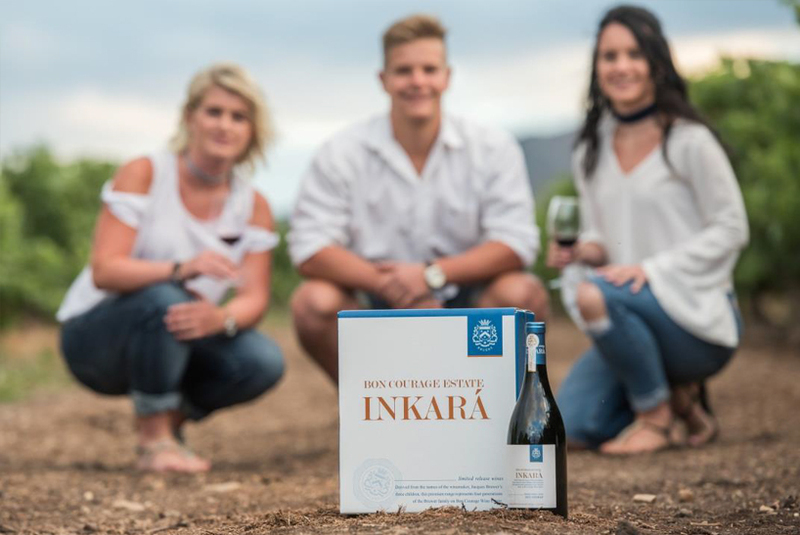 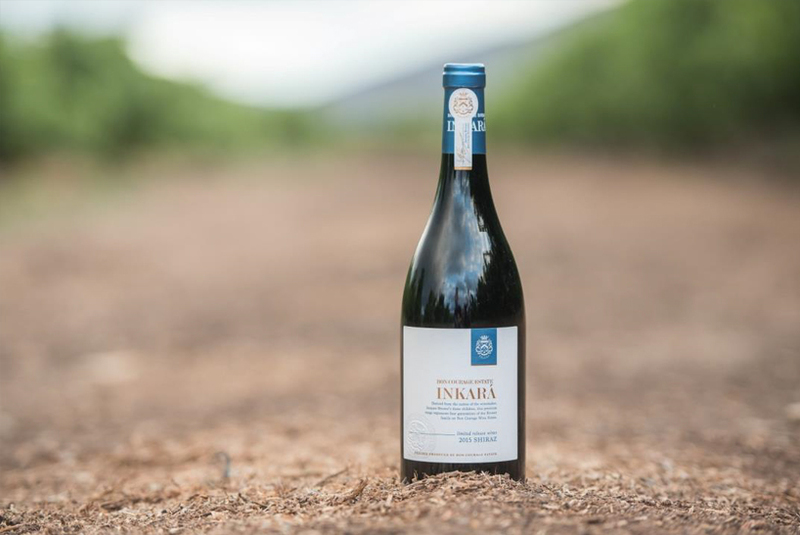 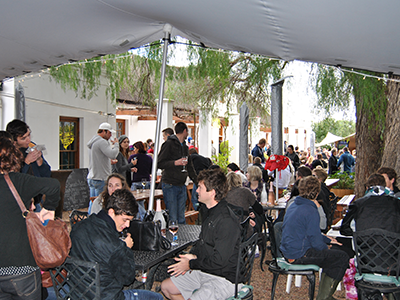 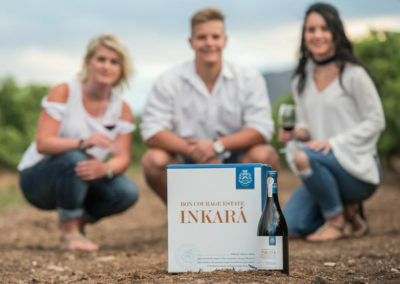 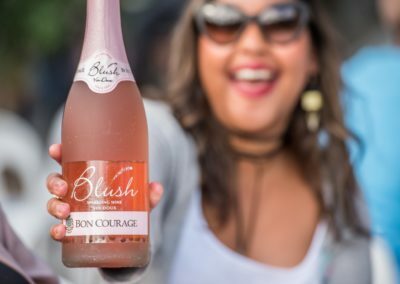 Bon Courage also has a wide variety of winning wines that can be tasted on the farm where after you can enjoy a delicious meal under the shade of an old african pepper tree. 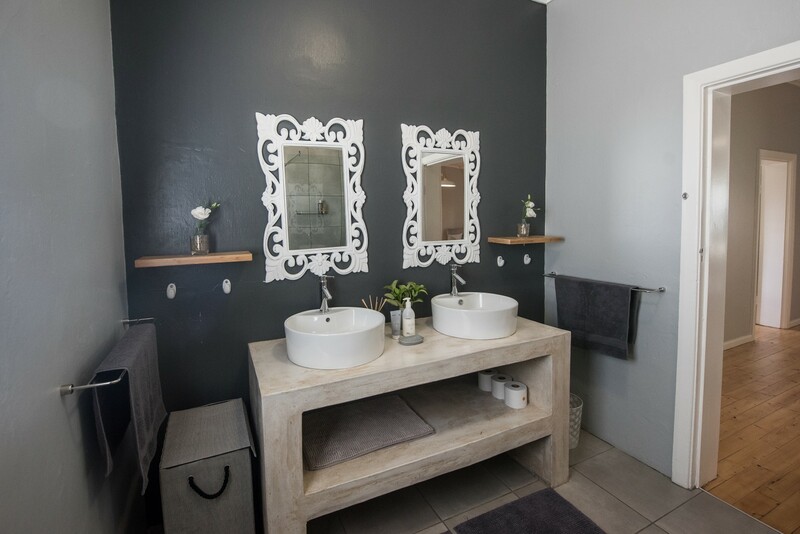 ©Bon Courage Estate | All rights Reserved | Designed & Maintained by Breededesign.